Our family has moved on to a new season in life and away from regularly taking field trips. We’re no longer regularly monitoring this blog or updating/adding information. I’m excited to announce that Texas Unschoolers will now be home to all these resources. Not only does this allow me to preserve all the information I’ve gathered over the years, but I will be periodically blogging for them in the future on a variety of topics of interest to our family. Thank you for all of your support and I hope you’ll join us over there! Please note: Someone else purchased the .com domain that we used to own. We are not affiliated with that site. Texans have been enjoying Blue Bell’s creations for over a century. Blue Bell ice creams and novelties have been a dessert staple in the South since the 50’s and their territory continues to grow. Despite their expansion and much to the chagrin to those on the West Coast and far North ~ it’s only available in 20 states. 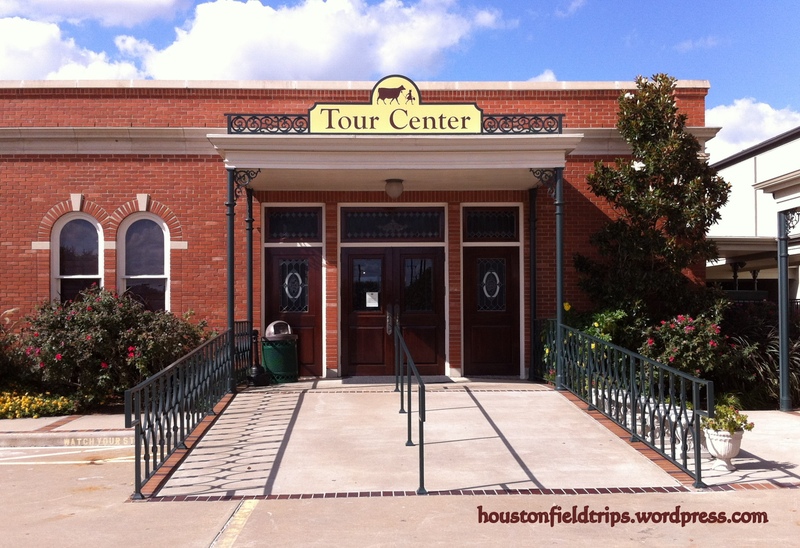 They offer tours in Brenham, Texas as well as Broken Arrow, Oklahoma and Sylacauga, Alabama. 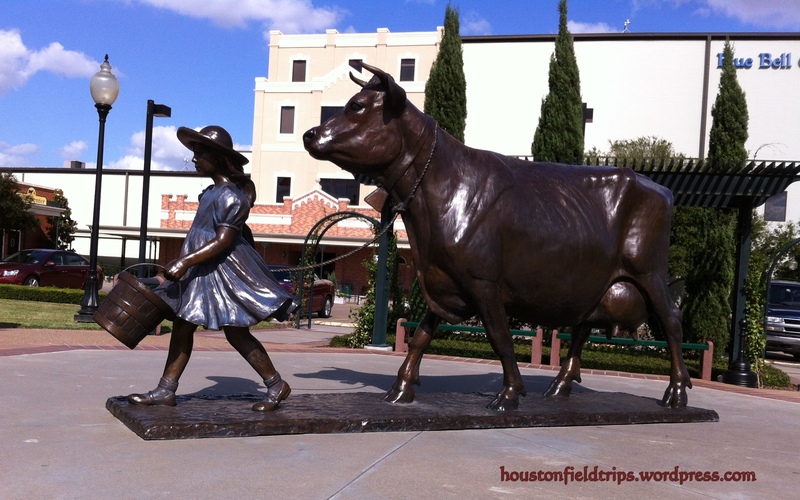 We recently enjoyed our second visit to the Blue Bell Creamery in Brenham. Both times we’ve toured with our homeschool group and been pleased to receive a significant discount over the “walk-in” rates. We were impressed both times and will continue to recommend this tour, both for it’s educational value and high “fun” factor. Tours run Monday through Friday from 8:30 until 3pm. The guided part last about 45 minutes, however, I would plan on at least 90 to allow plenty of time to explore the Tour Center, Country Store, and Baseball Museum. Be sure to call ahead to reduce wait time as reservations take precedence over walk-in guests. Also, during the winter months ~ the factory is often closed one or two days a week due to decreased production. The learning begins even before the tour starts. The tour center is filled with video presentations about Blue Bell, how certain products are manufactured, and the history of their products. There is a large “timeline” that covers 20 linear feet of wall space. Cameras are not permitted on the tour to protect the privacy of the employees, but don’t leave your camera in the car. There are tons of “photo ops” in the tour center and after the guided portion through the factory. On both visits we have been impressed with the personality and knowledge of the tour guide. 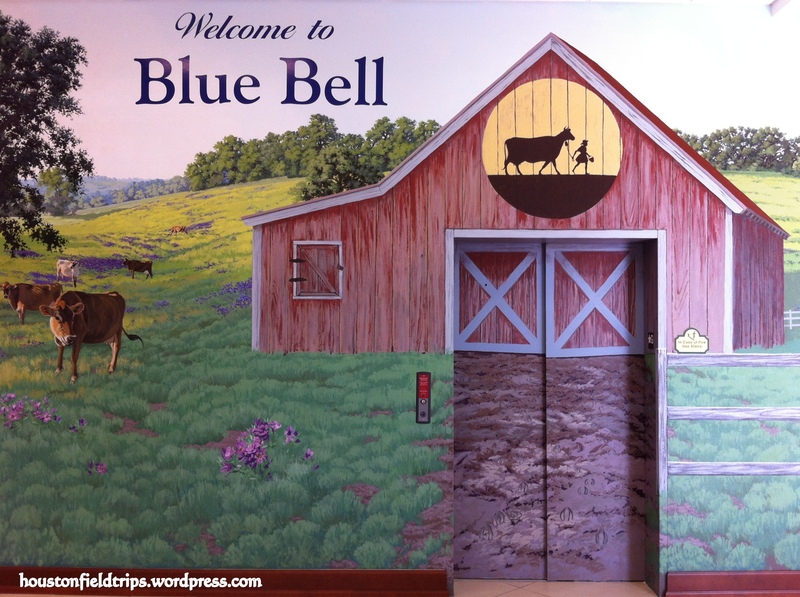 They convey of deep level of respect for Blue Bell and their fellow employees. Both women were also quick to encourage the children to ask questions and give plenty of time for observation. Utilizing either stairs or an elevator large enough to accommodate several strollers/wheelchairs, our party headed up a level and meandered along several corridors. Before arriving at the factory portion, the walls were covered in posters of nostalgic and current flavors of ice cream as well as many novelty items. Our guide covered some history of both the owner and the creamery and provided stats pertaining to the manufacturing process. After a short walk, we arrived to a series of windows overlooking how ingredients are stored, mixed, and packaged. Employees working down below often smiled and waved much to the delight of the kids on our tour. This last visit, we had the honor of watching the first batch of their newest Christmas flavor “Gingerbread House” ~ gingerbread, sprinkles, and marshmallows blended together with vanilla icing ice cream. Our children also enjoyed watching how ice cream sandwiches, popsicles, and Rocky Road were made. The tour ends at an ice cream parlor where all guests are treated to a free (and generous!) scoop of ice cream. Any extra scoops are $1 each. There’s a “Country Store” adjacent where you can select from a variety of Blue Bell Merchandise for sale. There are plenty of tables & chairs to share flavors and talk of the favorite parts of the factory. 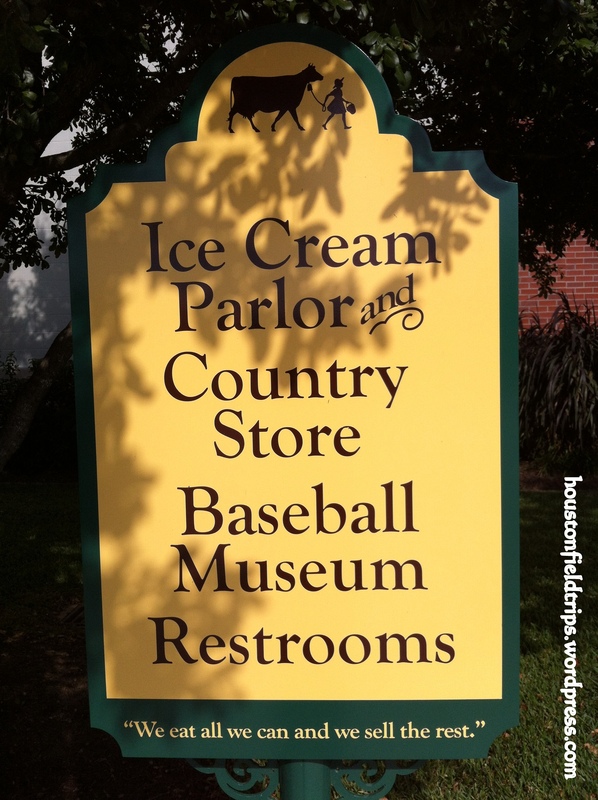 After wiping your face & washing your hands (yes, sinks right there in the parlor) it’s another flight of stairs down to the baseball museum. There’s additional picture opportunities outside with several statues and an antique ice cream delivery truck. Recommended Ages: Any. We found the staff and the experience to be positive for any age. Everyone from toddlers to teens had a great time. Anything we wish was different? That there were TWO free scoops of ice cream! 😉 Really, this is a great tour. As a field trip coordinator, I wish they communicated via e-mail. Everything is via phone and a confirmation comes in the mail. However, they are incredibly flexible when it comes to enrollment changes and it is truly a “homeschool friendly” facility and tour. How do I set up a trip? You need to call them. 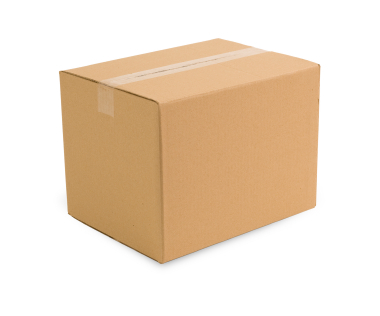 You can find more information about tours and contact information on their website. The cost varies depending on the time of year and whether it is a group or individual tour. Our tour as a homeschool group in the Fall was free. What else is there to do nearby? Both times our tour was earlier in the day and we enjoyed picnicking at nearby Fireman’s Park.